Vitamins are the building blocks of good health. In these harried days of office presentations, rendezvous with loved ones and junk food fests, we need someone to look out for us. Vitamins are a form of insurance and they do help to maintain good health. As for all good things in life we need to exercise moderation while consuming vitamins. Let’s not self medicate. Pop these suckers post consultation with your doctors only. Let’s look at how B12 vitamins can help us reach our fitness goals just by popping a pill or following a good diet. It’s as easy as that. Vitamin B12 can be our friend for life. 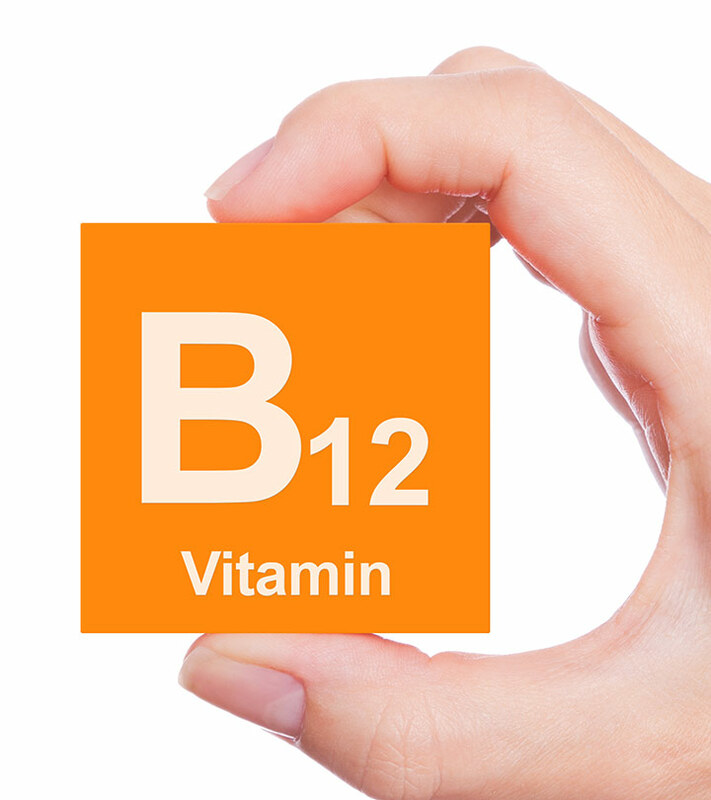 Vitamin B12 is one of the vitamins belonging to the B complex group of vitamins. It is the only vitamin that contains the trace element cobalt and so it is also known as cobalamin. Unlike other vitamins which can be produced by a wide variety of plant and animal sources, vitamin B12 is only produced in the gut of animals. So it cannot be obtained from plants or sunlight. Tiny microorganisms like bacteria, yeast and algae are also capable of producing this vitamin. This water soluble vitamin plays a key role in the normal functioning of the brain and nervous system. It works along with folate in the synthesis of DNA and red blood cells. It is also involved in the creation of myelin sheath around the nerves and conduction of nerve impulses. Myelin is the insulation that protects the brain and nervous system and helps them to conduct messages. Thus, this vitamin is vital for essential body functions such as DNA synthesis, carbohydrate metabolism for energy, red blood cell production, and cellular and tissue repair. Our body uses up most of the water soluble vitamins and excretes the rest in urine. Vitamin B12, however, can be stored in the liver for up to 5 years. Vitamin B12 occurs in a variety of forms. It is known by several names such as cobrynamide, cobinamide, cobamide, cobalamin, hydroxcobalamin, aquocobalamin, nitrocobalamin and cyanocobalamin. Vitamin B12 deficiency is more common than it is thought to be. 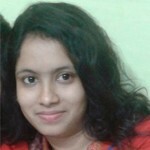 Also known as hypocobalaminemia, it is characterized by low blood level of vitamin B12. This deficiency is more common in strict vegetarians and vegans, because vitamin B12 is found exclusively in animal tissues. Vitamin B12 deficiency can be easily diagnosed by a physical examination. The main signs to look out for are accelerated pulse and pale/yellowish skin. Blood test is done to find out whether the red blood cell count is low. The appearance of red blood cells is also observed to see if they have an abnormal shape. The patient’s blood intrinsic factor antibody level is also checked to determine whether the person has pernicious anemia. Bone marrow biopsy is done to rule out other possible causes of red blood cell abnormalities or anemia. Deficiency of vitamin B12 involves 4 stages given below. The chart given below shows the recommended levels of vitamin B12 for different age groups. Deficiency of vitamin B12 can be caused by several factors, the most prominent among them being the intrinsic factor and vegetarian diet. The various causes of deficiency of vitamin B12 are outlined below. Vitamin D deficiency is caused by the lack of a glycoprotein called the intrinsic factor. When this glycoprotein is secreted by the stomach cells, it binds with vitamin B12. It is then transported to the small intestines to enable its absorption. Impairment of this absorption results in vitamin B12 deficiency. This can cause pernicious anemia, ultimately leading to serious neurological damage. In cases of pernicious anemia, the immune system of the patients creates antibodies that attack the lining of the stomach, damaging cells that produce intrinsic factor. People who follow a strictly vegetarian or vegan diet are at a higher risk of vitamin B12 deficiency. This is because vitamin B12 is naturally found only in animal products like meat, fish, beef and beef liver, lamb, salmon, shrimps, scallops, poultry, eggs and dairy products. Thus, vegans should make it a point to include B12 fortified foods or a B12 supplement in their diets. Those suffering from Crohn’s disease as well as those who have had their bowels surgically shortened might have problems with vitamin B12 absorption into their bloodstream. Patients with short bowel syndrome experience diarrhoea, cramping and heartburn. They often become malnourished due to the fact that what is left of their small intestine cannot absorb adequate quantity of vitamins including vitamin B12. 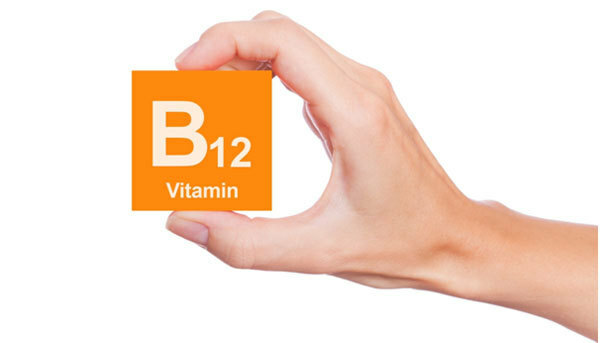 One of the common causes of vitamin B12 deficiency, particularly in older adults, is inadequacy of stomach acid which is required to liberate vitamin B12 from food. Atropic gastritis is defined as the thinning of the stomach lining that affects up to 30% of the people aged 50 years and above. People who regularly take medications like proton pump inhibitors, H2 blockers or other antacids have difficulty in absorbing vitamin B12 as these medications suppress the stomach acids. They are required to absorb vitamin B12 from fortified foods or supplements. According to the National Library of Medicine, chronic alcoholism can also be a cause of vitamin B12 deficiency. According to a recent research, consumption of four or more cups of coffee a day is likely to cause a 15% reduction in the levels of B vitamins including vitamin B12. Infection caused by Helicobactor pylori, bacteria that cause stomach ulcers, can also lead to vitamin B12 deficiency. This is because they damage the cells of the stomach which produce intrinsic factors. Nitrous oxide, commonly known as Anesthesia may also destroy vitamin B12 reserves. This gas is often used by dentists for pain management and in operating rooms. But it can pose a significant risk to those with existing, undiagnosed or untreated vitamin B12 deficiency. Health care workers who are routinely exposed to nitrous oxide are also at an increased risk. Deficiency of vitamin B12 can cause anaemia. Given below are the symptoms that vary from being mild to extremely severe. Vitamin B12 is also referred to as “energy vitamin” as it is required for the vital body functions. Vitamin B12 deficiency is a common problem which is often ignored due to lack of routine testing. When left untreated, deficiency of this vitamin can lead to the following health issues. Age related macular degeneration is an eye disease that can cause loss of vision. Research has indicated that those women who consumed 1000 mg of vitamin B12 along with 2500 mg of folic acid and 500 mg of vitamin B6 daily were at a lower risk of developing AMRD. Though there is not much evidence in this regard, certain studies have shown that vitamin B12 works along with folate to reduce the risk of breast cancer in women. 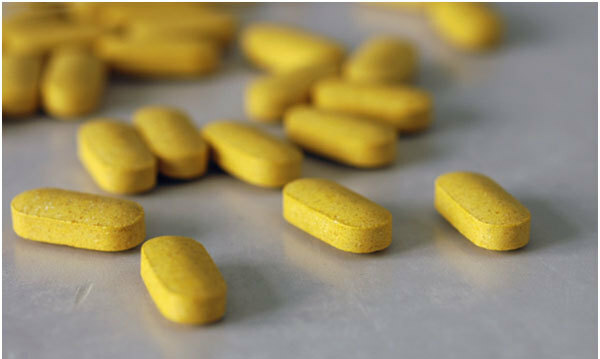 Post-menopausal women having low levels of vitamin B12 in their diet are at an increased risk of breast cancer. Those having Parkinson’s disease suffer from tremors and difficulty with movement, coordination, walking, speech and cognition. Adenosylmethionine is a natural substance found in every cell in the body which works together with vitamin B12 to process serotonin, melatonin and dopamine, the brain chemical alterations involved in the development of Parkinson’s disease. According to research conducted by the University of Maryland, low blood levels of vitamin B12 is a major factor contributing to memory and cognitive changes associated with Parkinson’s disease. Certain studies have proved that vitamin B12 plays an important role in improving sperm counts and sperm mobility. Thus, low levels of vitamin B12 may be associated with male infertility. However, more research is needed in this regard to find the real effect of vitamin B12. Chronic fatigue is a persistent feeling of tiredness and weakness in the body and is caused by vitamin B12 deficiency. Vitamin B12 injections are often given to people with chronic fatigue syndrome. Deficiency of vitamin B12 can lead to a condition called pernicious anaemia which is characterized by a lack of healthy red blood cells and a larger size of existing cells. Since vitamin B12 aids the formation of red blood cells, deficiency of this vitamin will adversely affect the creation of red blood cells. This will eventually cause anaemia. When left untreated, pernicious anaemia can increase the risk of heart problems and stroke, damage your nerve cells and trigger changes on the surface of your digestive tract, thus increasing the risk of stomach cancer. Melatonin is also known as the “sleep hormone” the production of which decreases as your body ages, resulting in sleep disorders or insomnia. As stated earlier, vitamin B12 plays a crucial role in melatonin production. Deficiency of this vitamin can lead to lower melatonin levels and hence, sleep problems. These diseases are caused due to high homocysteine levels in the blood. Insufficient levels of vitamin B12 can raise your homocysteine levels, thus increasing the risk of heart disease, and stroke. High levels of homocysteine caused by vitamin B12 deficiency can lead to complications in pregnancy and birth defects. Low levels of vitamin B12 are associated with many neurological conditions like dementia and Alzheimer’s. Peripheral neuropathy is a disease characterized by dysfunction of your peripheral nerves, causing numbness and tremor as well as sensations like tingling, pain and itching. It makes your skin hypersensitive to the point where you are unable to stand any touch on certain parts of your body. Your muscles can feel weak, tired or heavy and you may experience muscle cramps, tremors and soreness. Treatment of vitamin B12 deficiency involves replacing the missing vitamin B12 through dietary changes, supplements and injections. This deficiency can be caused due to family history of anaemia, diabetes, immune disorders or surgeries such as stomach removal. Vitamin B12 deficiency can be treated in the following ways. A natural way to cure vitamin B12 deficiency is to include milk, meat and dairy products which contain vitamin B12, in your diet. Vegetarians should meet the recommended daily requirement of this vitamin by taking a vitamin B12 supplement. Elderly people require a larger amount of vitamin B12 as their ability to absorb it decreases with age. Vitamin B12 deficiency caused due to overgrowth of intestinal bacteria can be treated with oral antibiotics such as tetracycline. This will not only stop bacterial overgrowth but also enable normal absorption of vitamin B12. Patients with severe deficiency symptoms are given 5 to 7 injections during the first week to restore the body’s reserves of this vitamin. These injections are quite effective and yield results within 48 to 72 hours. Once the reserves of vitamin B12 reach the normal levels, these injections are taken every 1 to 3 months to prevent the symptoms from returning. 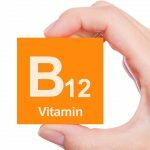 Those who do not prefer taking injections can make up for the deficiency by taking high doses of oral vitamin B12 supplements under the supervision of their physician. When severe anemia is caused due to high deficiency of vitamin B12 and the red blood cell count is extremely low, blood transfusions are given for the first couple of days until the vitamin B12 injections start working. B12 is important for the healthy functioning of our body and we must try and include it in our diet. Here’s wishing you a healthy vitamin B12 filled year. Stay fit, stay healthy! Does Vitamin B12 Deficiency Lead To Weight Gain?